At Manderley Fine Furniture, we know you care deeply, and that the energy you invest in your life – your family, friends, work and community – nourishes you in return. We feel that way about Sprout mattresses. Deeply considered and beautifully crafted with wool, cotton, and silk for rejuvenation of mind, body and spirit, each and every night. You breathe, your Sprout mattress breathes. Sprout’s blend of the finest natural materials works together to wick away moisture and balance your temperature, in the summer and the winter. This guarantees a pleasant and dry sleeping climate for a regenerative rest. 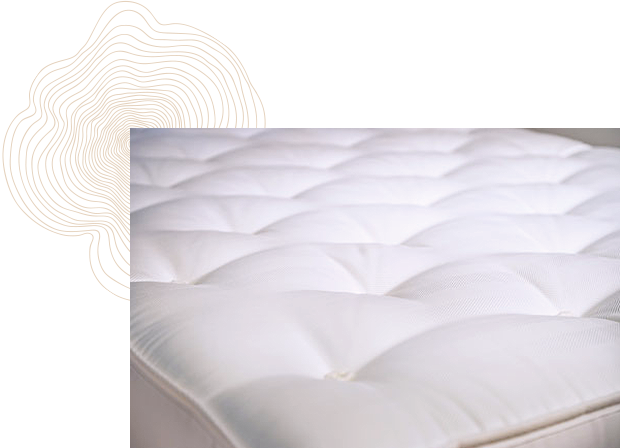 Hand-tufting is the most effective way of securing natural fill layers in place to allow the mattress to respond harmoniously to every curve and shift of your body. This hand-crafted tradition is a quality trademark of the most luxurious mattresses in the world. 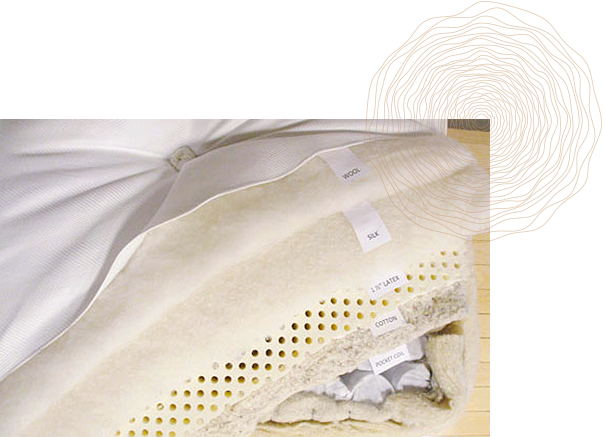 Hand tufting is used on Sprout mattresses and this manufacturing technique eliminates the use of harmful glues which dry out and allow layers to move. The migration of layers is the number one cause of body impressions and discomfort. Manderley offers Sprout with a solid latex or pocket coil core, both providing sumperior support, comfort, and long-lasting durability. Latex: All natural and provides an individualized sleeping surface so you do not feel your partner’s movements through the night. 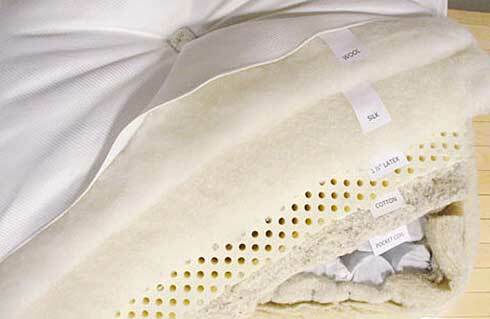 Latex is also hypoallergenic and significantly reduces allergy triggers such as dust mites, mold, fungus, and mildew. Pocket Coil: Our Swedish-made pocket coil incorporates whisper-quiet technology for a sound sleep night after night. The Intelligently Responsive Multi-Zone (IRMZ) pocket coil system allows for movement without disturbing others while you sleep. Made in Canada, of course. Try the Sprout Zip N Link! Offering a variety of options is very important to us at Sleepy’s as we realize everyone is unique and requires different firmness levels in a mattress to match their personal comfort needs. This is one reason why we sell the Sprout Zip N Link bed model. 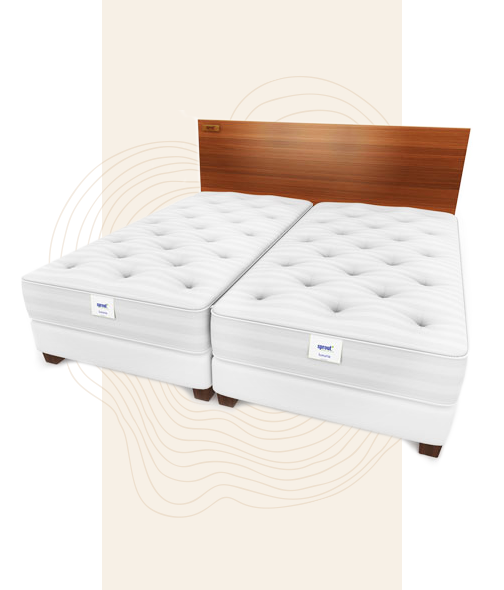 The Zip N Link combines 2 single xl mattresses to form a king size mattress with different comfort options on each side. Partners that share a bed can choose their firmness preference and achieve the best of both worlds in one mattress without compromise. The Sprout Zip N Link is also easy to flip and rotate without any loss in performance. At Manderley, we sell quality latex mattresses and mattress toppers, and we’re passionate about them. We want you to experience the benefits of sleeping on latex and how much it can improve your sleep and impact your life. 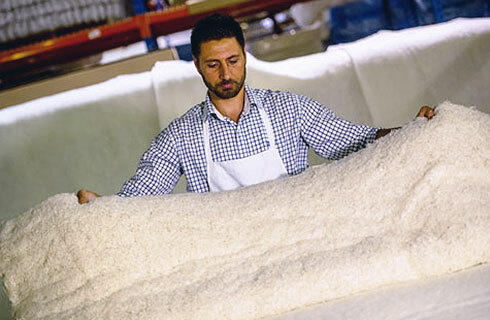 Our mattress products are quality made with natural materials. Many of our customers in the Toronto and GTA are interested in choosing a natural sleep product, but they come to our store uncertain of what a latex mattress is. Latex is a natural material and is harvested from trees in a sustainable process that is similar to how maple syrup is harvested in Eastern Canada. 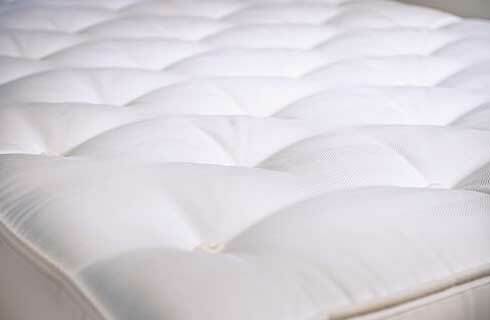 Beyond the organic nature of latex, a latex mattress can offer many healthful benefits. Sprout latex mattresses provide a comfortable and supportive sleep surface by conforming to your body, offering support where needed to help keep your spine aligned. These natural latex beds offer freedom of movement and cushion for pressure points like hips and shoulders. Natural latex is dust mite, mildew, and mold resistant consequently relieving allergies and allowing you to have a much sounder, and less congested sleep. Sprout latex mattresses are covered in natural cotton and wool which meet the flame retardant guidelines without using toxic chemicals that are used in foam products that can lead to health problems. The other benefit of cotton and wool is that it will help to regulate your body temperature, keeping you cool in the summer and warm in the winter. There are so many benefits to sleeping on a latex mattress! The health, comfort, and versatility options are just three important factors that you might consider when choosing a mattress for you and your loved ones. 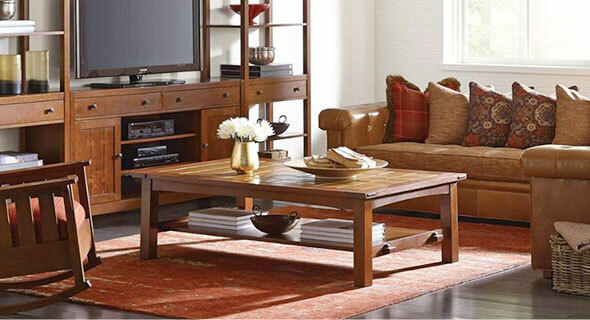 Contact Manderley Fine Furniture today to chat about what is right for your bedroom and lifestyle!